One simple way for you to kick-start those relationships is by hosting a scavenger hunt for new students. This will not only be fun for your staff and your participants, but it’s also a really easy way to get your students acquainted with the services your store has to offer and the layout of your school’s campus and surrounding areas. This being 2016, it will behoove you to heavily incorporate social media into your plans. This will not only allow students to interact with the mediums they most frequently use, but it will provide your social accounts with new followers that you can appeal to in the future as well. Does this marketing plan look familiar? We decided to update our very first marketing plan! Check out the original version shared in July 2011. 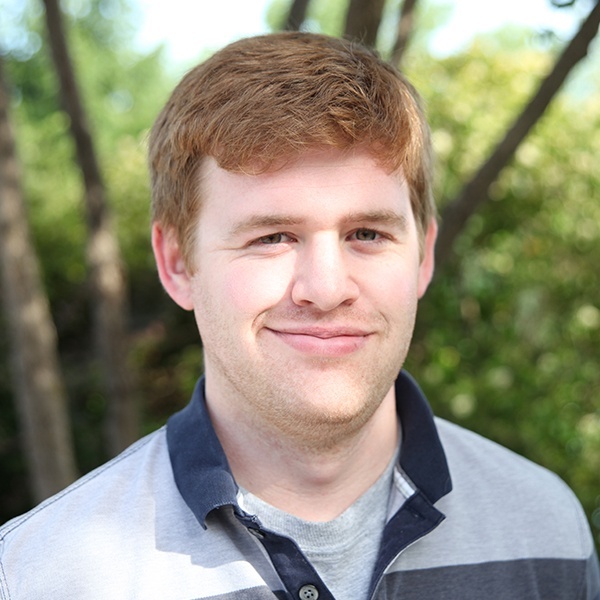 If you have student employees, make use of the people in your store that think most like them: their peers. Start with asking your student employees what places near the bookstore they think are particularly important for participants to get acquainted with. Was there a building or campus landmark that they were unfamiliar with when they first set foot on campus? Make sure that place is included on your route. Unfortunately, participation is unlikely to be as high if all students are getting out of it is a souped-up campus tour. The first thing we’d recommend is providing some kind of small discount just for participating, especially since they’ll finish the scavenger hunt in your store. Even if it’s just 5% off a select item, students will be more likely to claim that offer if the item is right there in front of them. Then, of course, you’ll want to offer a big prize for the winner(s) of the scavenger hunt to really get people excited about it. What that prize is is ultimately up to you, but make sure it’s something which can easily be spread amongst multiple people, as students are likely going to want to participate as a group. One other option is partnering with businesses located either on or near campus. If there’s a local sandwich shop everyone loves, maybe work out some kind of deal where students go pick up one of your scavenger hunt clues in their establishment, and in exchange for the new potential customers, your participants can get a small one-time discount on a sandwich. Finally, keep in mind that because these are new students, they may not know many people just yet. Make it clear that anyone who wants to show up on their own will be more than welcome and will be paired with other participants, preferably those in a similar situation. Students, if you’re new to campus and looking for a fun way to get to know more about *SCHOOL NAME*, we have the perfect opportunity for you. 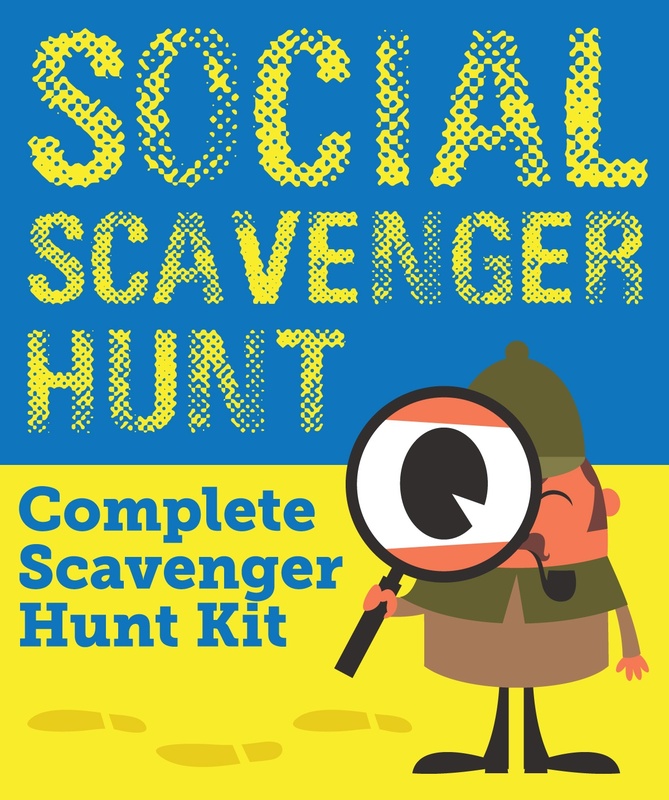 Join us on *DATE* for an awesome scavenger hunt to win some cool prizes here at the bookstore! New to campus? 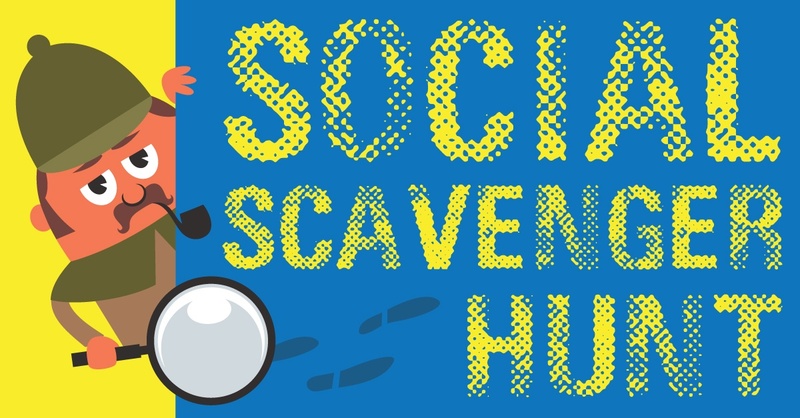 Join us for #*BOOKSTORE NAME*Scavenge on *DATE* for a chance to explore campus and win some awesome prizes! Snapcodes make it possible for your customers to follow your store by simply scanning your unique Snapcode (similar to a QR code). Here’s some more info on how to save and share your Snapcode with followers on other social media platforms. 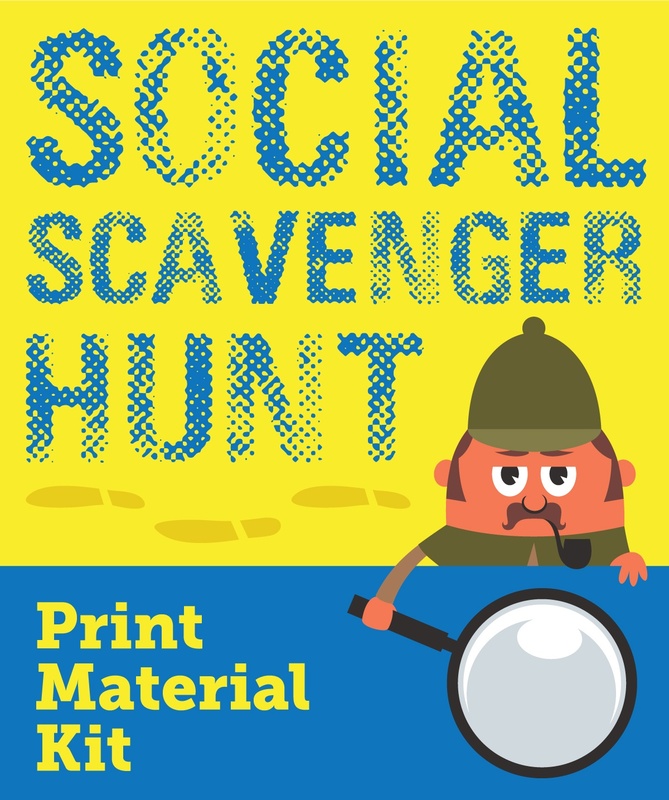 Most scavenger hunts use paper clues, but Snapchat’s ten seconds or less videos are a perfect way to provide a clue or two. Requiring your participants to follow your Snapchat profile to get a clue will then have the added bonus of them continuing to follow you even after the scavenger hunt is over. Here are a couple more Facebook and Twitter messages to help you spread the word about Snapchat’s role in your scavenger hunt. Did you know that we’re on Snapchat? Snap our code and give us a follow at *BOOKSTORE SNAPCHAT USERNAME*, especially if you’re participating in our scavenger hunt on *DATE*! That’s right, we’re on Snapchat. 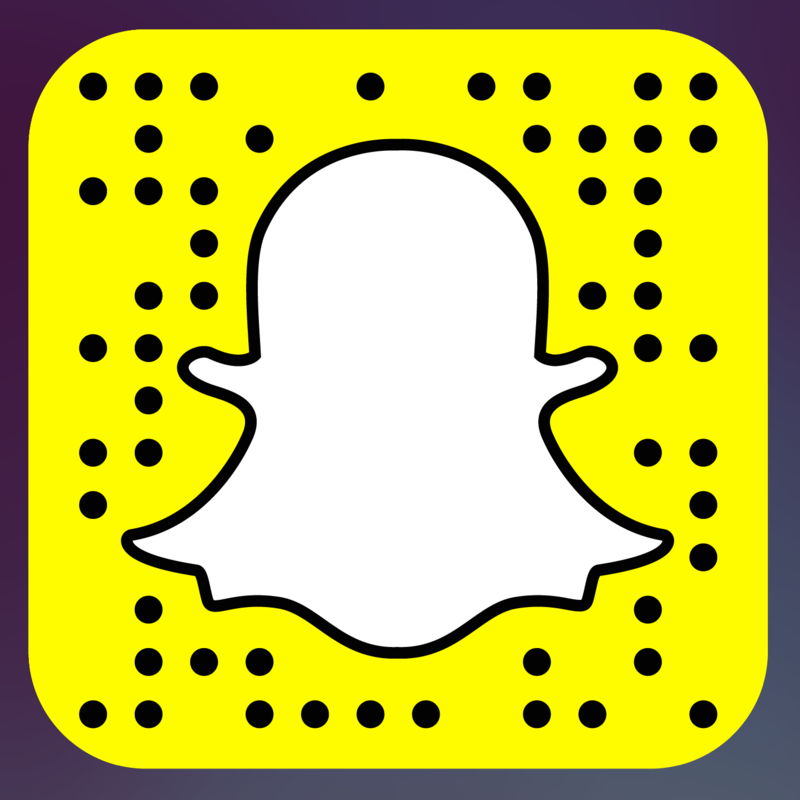 Snap our code & follow @*BOOKSTORE SNAPCHAT USERNAME*, especially if you’ll be at #*BOOKSTORE NAME*Scavenge on *DATE*! Supplementing your social media advertising with print and email is always a good idea, especially for new students who don’t necessarily follow you on those accounts just yet. 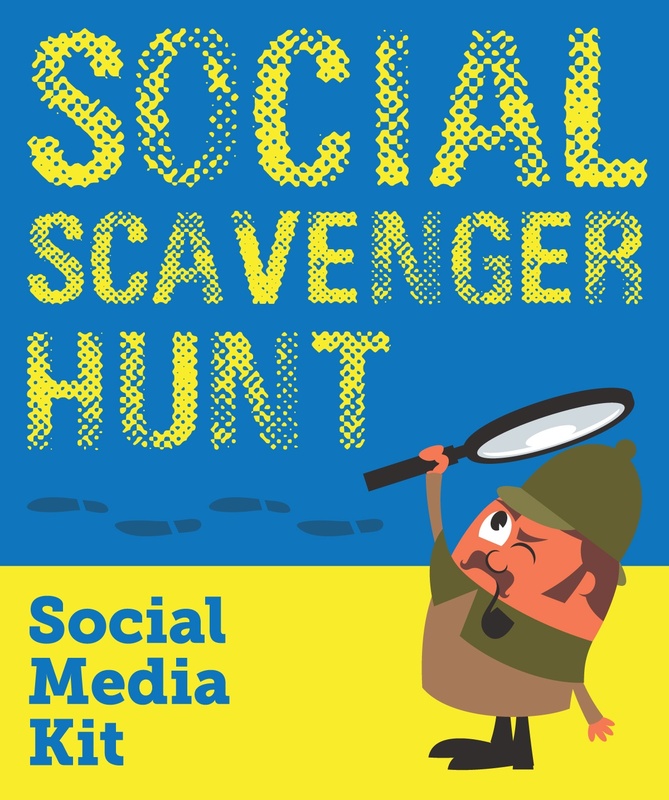 You don’t necessarily have to send out an entire email advertising the scavenger hunt – though that’s not a bad idea! – but simply including it in another pre-planned email marketing send would be a great start. With students coming in and out of your store all the time, especially early on in the year, posters and handouts like the ones we’ve created for you to the right will absolutely help you spread the word. Just be sure to write in the fillable fields and, as previously mentioned, insert your Snapcode wherever applicable. The day of, make sure you have multiple employees there early so you can send them out to get all of your clues in place. You will probably want to get your clues set up about an hour to 30 minutes before the scavenger hunt starts – early enough that you’ll have plenty of time, but late enough that nobody will be able to get a head start. You’ll also need to make sure that your clues are in a location where they aren’t interfering with anyone else, and won’t be interfered with themselves. Otherwise, you could have a disaster on your hands if participants suddenly have no way to find their next clue in the middle of the event. Part of the fun of a scavenger hunt is that its clues are usually deliberately ambiguous. This means that some students may have trouble figuring out the answer to your clue, especially if they aren’t very familiar with their surroundings. To prevent any rage-quitting, have someone monitoring your social media accounts to provide additional clues for any teams that get stuck. Since your scavenger hunt will likely have many stops before the finish line, there are a couple of options at your disposal to make sure things keep moving along efficiently. At each stop there will be clues that your participants will have to turn in order to redeem their prize. In order to avoid making them lug around a bunch of stuff, be sure to either make your clues small enough that they can carry them around unencumbered, or station a few employees at different points in your path to collect clues and keep track of the teams who turn them in. Who wins the scavenger hunt should be blatantly obvious. The winners are the first team to finish with all of the clues. As long as the team has proof that they made all the stops, they should be able to walk out of the store with whatever prize you’ve chosen. With that said, it’s good practice to spread the word on who won and how your event went. This will help you show your followers that they’ll have a good time whenever they attend any of your events, and the winners will appreciate the recognition.